Saab is talking to various parties, including Chinese manufacturers, to help it restart production at its Trollhattan, Sweden, plant, shown. Saab owner Spyker Cars reported a first-quarter net loss of 72 million euros ($107 million) on Friday and warned it was unlikely to meet its 2011 production target. The company also said it is talking with Chinese companies about a possible investment in Saab. "We have opened up alternative routes to fund the company mid and short term including, but not limited to, discussions with Chinese car manufacturers," Spyker CEO Victor Muller said in a statement. Muller did not name the Chinese companies but Bloomberg and Dow Jones news wires said Spyker is negotiating with Great Wall Motor Co., China Youngman Automobile Group Co. and Jiangsu Yueda Group Co. Saab may partner with one of the companies within days, Bloomberg said. An agreement would likely include the Chinese company investing in the Swedish carmaker as well as forming a joint venture to produce Saab vehicles in China, Bloomberg sources said. It may also include the Chinese company distributing the Swedish brand at its dealerships. This week, Spyker was thrown a lifeline when Sweden's Debt Office and General Motors both said they approved a plan for Russian businessman Vladimir Antonov to invest 30 million euros in Spyker in return for a 29.9 percent stake. As recently as late March, Spyker stuck to its target for Saab to sell 80,000 cars this year, versus about 30,000 last year. But on Friday, Spyker said that target was no longer realistic. 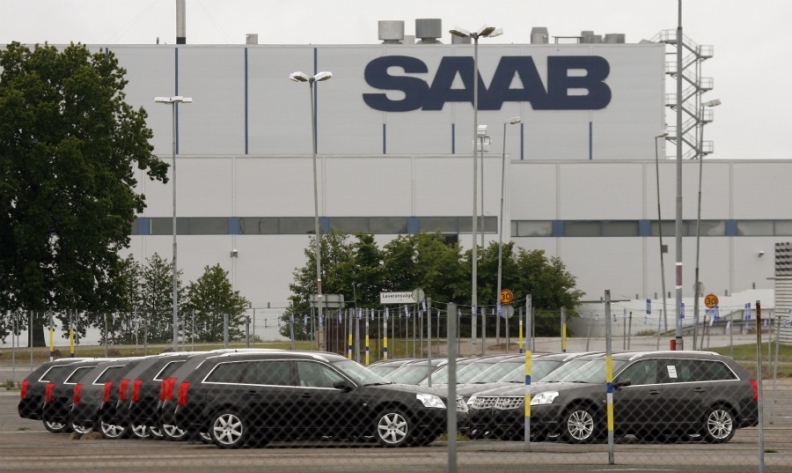 Work at Saab's plant, which produces more than 200 cars a day, has been severely disrupted for much of April. "It is unclear at this time what the consequences of the recent production stoppages and funding issues will be for our full year 2011 forecast but it is realistic to assume that realising our 80,000 cars sales forecast is no longer feasible," Muller said in a statement. Saab sold 9,674 cars wholesale in the first quarter, up from 3,630 a year ago when production was disrupted by the sale process to Spyker. The automaker built 10,888 during the same period, compared with 2,153 the year before. Spyker said said it was raising funds from shareholders to restart production. "To ensure adequate liquidity both in the short term and for the remainder of this year, management is currently raising funds from current shareholders and pursuing various initiatives to improve the group's liquidity and strengthen the group's balance sheet," the company said but did not give details. Martin Crum, analyst at AEK Research, said a share issue was very likely. "This is inevitable and part of the package. The issue can happen very quickly or in a few months' time," Crum said. Spyker shares were down 5.5 percent mid-morning Friday, giving a market cap of about 73 million euros. The stock rose 13 percent on Thursday on news the Debt Office had given approval for Antonov to invest in the group.